Rachel Gojer PCC, NLP Master Practitioner, B.E. Hi Vasudev, I would like to speak with you briefly to see if you're a good fit to coach me. Please contact me at your earliest convenience.  Hi Moumita, I would like to speak with you briefly to see if you're a good fit to coach me. Please contact me at your earliest convenience. Hi Kuldeep, I would like to speak with you briefly to see if you're a good fit to coach me. Please contact me at your earliest convenience. Hi Kalyana RP, I would like to speak with you briefly to see if you're a good fit to coach me. Please contact me at your earliest convenience. Hi aha, I would like to speak with you briefly to see if you're a good fit to coach me. Please contact me at your earliest convenience. Hi Arjun, I would like to speak with you briefly to see if you're a good fit to coach me. Please contact me at your earliest convenience. Hi Jahnavi, I would like to speak with you briefly to see if you're a good fit to coach me. Please contact me at your earliest convenience. Hi Dr Kurien, I would like to speak with you briefly to see if you're a good fit to coach me. Please contact me at your earliest convenience. Hi Sandhya, I would like to speak with you briefly to see if you're a good fit to coach me. Please contact me at your earliest convenience. Hi CV, I would like to speak with you briefly to see if you're a good fit to coach me. Please contact me at your earliest convenience. Hi Venkat, I would like to speak with you briefly to see if you're a good fit to coach me. Please contact me at your earliest convenience. Are you a Karnataka Life Coach?